Go see Ronnie Burleson and Wes Morgan in New London, North Carolina. They will not only tell you, but SHOW you how to create and sustain new jobs in the state and around the nation. Please get out of Washington, DC and go see these guys before you do anything else to try to 'help' the economy. Please. Ronnie Burleson is a true American hero. We don't know if he served in the military but he is a real American hero nonetheless because he is an American cotton farmer. What he grows out of his gravelly clay soil in New London in terms of the finest short fiber cotton in the world sustains the livelihood of hundreds of American families. We went to Ronnie's farm yesterday to see where all the North Carolina-grown cotton for the t-shirts my wife and son sell is grown, harvested and ginned yesterday on an absolutely perfect North Carolina Indian summer fall afternoon. Their business, High Cotton Ties, is dedicated to making casual cotton bow ties and cummerbunds here in North Carolina, mainly for the college crowd, but also for any man who wants to look his best. Our oldest son, Cameron, discovered TS Designs of Burlington, NC last year right before they were about to order hundreds of t-shirts as promotional items for the 75 college towns where High Cotton Ties are now sold. TS Designs is dedicated to re-creating the chain of cotton grown in the Carolinas through the manufacturing process that results in the end product available for sale such as t-shirts and hopefully, knit and dress shirts down the line soon. But guess what? TS Designs is also primarily interested in making a profit. Otherwise they will go out of business. See, Mr. President? The profit motive and 'doing the right thing' usually work hand-in-hand to benefit everyone involved. We went to the 4th Annual Harvest Fest at the Rolling Hills Gin to see and hear their story up close and personal. All we can say is that every politician in Washington DC and Raleigh, NC should be forced to go spend a day on the farm with Ronnie and in the gin with Wes before voting on another 'jobs stimulus' bill or allowing any regulator to write 1 more regulation that affects businesses the regulators and politicians know nothing about. Nothing. With a capital 'N'. Modern American farmers are true renaissance men. In the course of one day, these farmers are the following: entrepreneurs, mechanical engineers, business managers, chemists, soil scientists, disease management specialists, accountants, inventors, crisis management experts, salesmen, and perhaps most importantly in these tough economic times, 'job creators'. 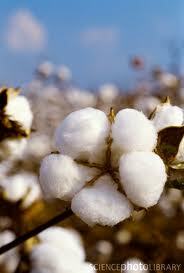 They purchase $600,000 'cotton-picker' machinery combines from John Deere in Des Moines, Iowa. John Deere ain't ever going to manufacture these multi-ton behemoth vehicles that look like something out of a space sci-fi movie overseas. They are too big and too costly to ship over here from China or Japan. Plus the good people at John Deere have figured out how to make the best farm machinery in the world so why move it from where the people who know how to make them do it the best? Every time Ronnie Burleson buys a new cotton-picker, the people in Des Moines cheer. Or at least they should. Because that is another couple of months work for the entire factory. Once he plants his 3000 acres, and the summer takes its course to produce absolutely beautiful bolls of cotton over knee-high (meaning you are truly in 'high cotton'), these space-age machines pick and pack the cotton into rolls of cotton just like hay which is then sent to the Rolling Hills Gin where Wes takes over. We have no idea how many millions of dollars have been invested personally by these people in New London in this modern cotton gin. If you think it is some sort of hand-cranked contraption that grinds the cotton seeds out of the cotton boll like Eli Whitney's invention in 1794, you are wrong. Rolling Hills Gin is a fully automated modern manufacturing process where tons of raw picked cotton are dumped into chutes on the front end and dried, separated and compacted into bales at the other end in about 90 seconds per bale of cotton. From there, 80% of Ronnie Burleson's cotton gets shipped to other countries where they treasure the high quality of the fine North Carolina cotton to turn into shirts by people who make $2/day and whose nations have virtually zero environmental protection laws or federal regulations and lower taxes to boot. Business migrates to lower wage areas. We 'get it'. The textile industry migrated to the Carolinas when costs got too high in Massachusetts around the turn of the 20th century. Lower wages overseas plus a lackadaisical attitude of enforcement of existing trade treaties over the past 20 years has led to a massive loss of 250,000 textile-related jobs in North Carolina alone. 20% of Ronnie Burleson's fine North Carolina cotton is being turned into fine North Carolina American-made products by Americans for Americans. That is up probably double from several years ago. A lot of that 20% is now being purchased by TS Designs and Eric Henry and Tom Sineath who buy the finished knit product after it has been spun into thread, woven into fabric and dyed and cut and sewn in towns such as Thomasville, Greensboro, Middlesex and Wendell, NC. They make it into the most comfortable t-shirt you have worn in 30 years which you can buy from Judy and James, also North Carolinians, at High Cotton Ties. Let's see if North Carolina can regain its position in the world markets as a premier producer of specialty textile products much like Italy has retained its position as a manufacturer of fine silks and printed fabrics. We think the elimination of corporate taxes might just accelerate the expansion of those new textile jobs in North Carolina and the return of many of them from overseas, a process that is now underway due to higher labor costs in Asia, political uncertainty in China and higher transportation costs. Don't you agree that might help even just a little? Know what the #1 problem companies such as Rolling Hills Gin and farmers such as Ronnie Burleson have today in America? It is not lack of credit. John Deere will finance anything Ronnie Burleson wants to buy on very favorable terms because they know he knows what he is doing. It is not lack of demand. Ronnie and Wes can sell every fiber of their cotton production to anyone in the entire world. Everyone wants Ronnie's great cotton. Their main problem today is an over-reaching and intrusive federal government that writes nonsensical EPA regulations on air quality particulate matter. Those regulations might mean something in an urban manufacturing setting. Ever been to New London, North Carolina, Mr. President or Mr. EPA Regulator? Didn't think so. The Rolling Hills Gin could shoot up particulate matter straight into the sky like a firework display on the Fourth of July and it would not hit one person on the way down for 10 square miles around the plant. Every time President Obama and Congress has passed something in the last 3 years, guys like Ronnie Burleson and Wes run to cover their wallets because they know it is going to cost them something. Every time they are forced to spend $100,000 to put a new cap on their air blowing process, that is $100,000 less they have to hire new people to work on the farm or in the gin or invest in a new joint venture with Eric and Tom to maybe one day restore the weaving process back on North Carolina soil. That is why there is so little business expansion and job creation in the private sector: lack of confidence among business owners they can invest and make enough new profit to cover that risk. Higher taxes will hit small town rural farmers and gin operators in their good years when their sales volume escalates. ObamaCare? We didn't get into it but the cost of compliance to the new law plus the new regulations just add more burden and complexity to people like Ronnie Burleson who just want to grow great cotton and businesses like Rolling Hills Gin that only want to produce pure beautiful natural cotton. These guys are true American Heroes, Mr. President and Members of Congress. Stop treating them as villains or criminals until proven innocent. Most of all? Leave them the heck alone so they can do their business and hire more people and help return this entire nation to some modicum of economic growth and prosperity. That is what we want. Not another vaunted 'jobs bill' that fails to understand how guys like Ronnie, Wes, Eric and Tom have single-handedly created 700 jobs in North Carolina.